Gareth Southgate's squad looked like a happy camp during training, with the reappearance of the rubber chicken the only fowl play on show at St George's Park on Sunday. Captain Harry Kane was once again spotted with the rubber prop at England's last training session before jetting off for their Group A European Qualifier against Montenegro in Podgorica. 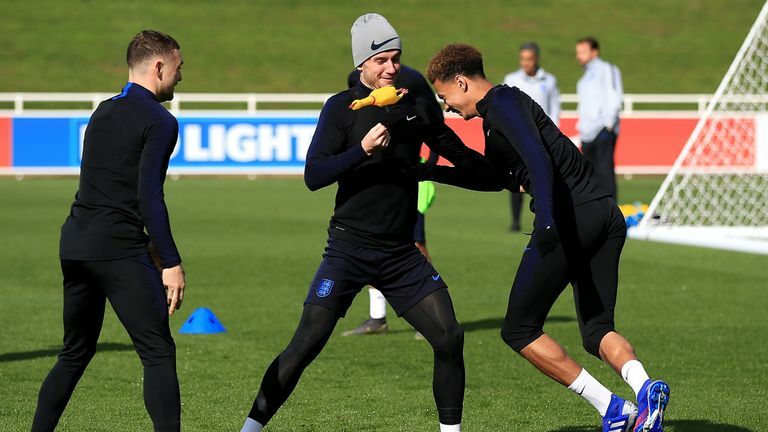 Kane was in the thick of it, alongside Bournemouth striker Callum Wilson and England new-boys Callum Hudson-Odoi and James Ward-Prowse, as the quartet were among those taking part in a light-hearted training drill, ably assisted by the rubber chicken.